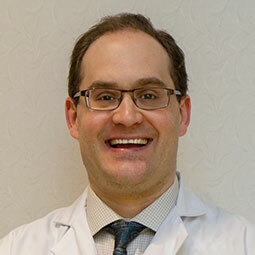 Dr. Paul MacKenzie is a graduate of the University of Western Ontario's Schulich School of Medicine and Dentistry. He was born and raised in Kitchener Ontario and obtained an honours bachelor of science degree in Chemistry from Wilfrid Laurier University and a Bachelor of Education from the University of Western Ontario. Prior to becoming a dentist, Dr. MacKenzie taught high school chemistry and mathematics in Waterloo Region for several years. Dr. MacKenzie has enjoyed working with Dr. Charles Zhang in performing general dentistry for patients of all ages since 2008. As a result of his teaching experience, Dr. MacKenzie enjoys a friendly, clear communication with his patients so they may feel at ease in the dental chair. Away from the office, Dr. MacKenzie enjoys playing church music on the piano, listening to orchestral film music and grilling and smoking all kinds of delicious meats and vegetables on his charcoal barbecues. He lives in Kitchener with his wife, Sophie, and their sons Timothy and Jasper.